Current shipping estimates for the iPhone X are 5–6 weeks, but is there a chance you'll get yours tomorrow? The initial preorders for the iPhone X dried up in minutes, and those who preordered after the first ten minutes are seeing delivery estimates from Nov. 16 all the way through December. However, a few users received shipping confirmations from Apple much earlier than expected. 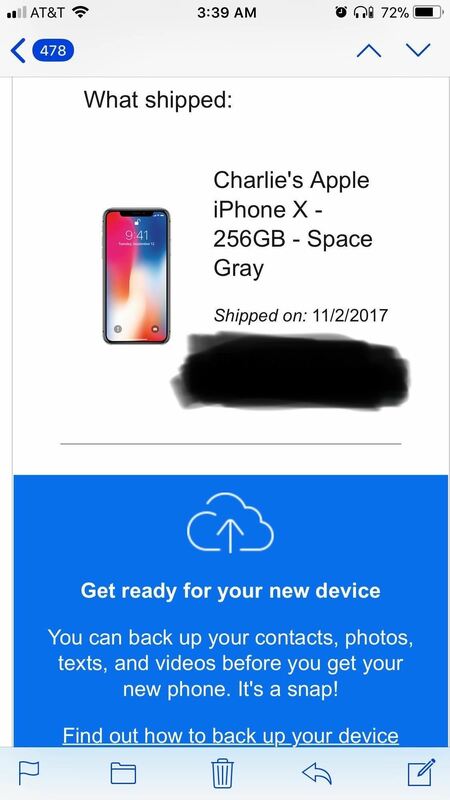 For those who preordered in the first ten minutes, along with some lucky customers who didn't, devices began shipping from China in late-October, so look out for a shipping email sent out by Apple. In the email will be a link to track the shipment or pre-sign for delivery from Apple's website. If you'll be out that day, pre-signing is a good thing to do unless you live in an area with a lot of package theft. If you can't find one in your inbox, check out the Apple Store app for iOS. From the "Account" tab, select "My Orders," then tap on your iPhone X order. Hopefully, it says "Shipped" at the top of the screen, and if so, you can see the delivery date right there on the screen. 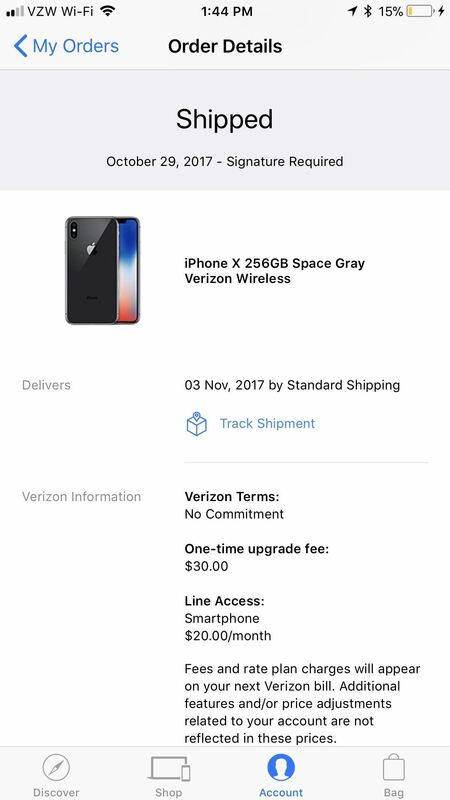 The date may still say mid-November or later if it has already shipped, but tap on the "Track Shipment" option to visit FedEx or UPS online to see the real delivery date. It may be sooner than Apple lets on, if you're lucky. If you want to pre-sign for delivery, too, just tap "visit our website" at the top of the Order Details screen in the app, then log into iCloud in Safari.